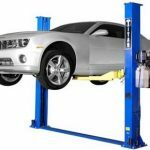 If you’re looking for auto repair in Merrimac WI, you may find that Merrimac may not offer an auto repair solution that fits your needs. In the summer it’s possible to fill those needs with a trip across the Merrimac ferry to Lodi and Ness Auto Sales and Service. Ness Auto Sales and Service offers a wide range of car repairs and service for all makes and models. We have trained technicians to repair your car or truck no matter what the make or model. Whether you need an oil change, transmission service, brakes, or even engine repair, Ness Auto Sales and Service has you covered. We know that car repairs are a major inconvenience so we’re prepared to make it as easy as possible. Follow the map above or take the short ride across the Merrimac Ferry, turn left and drive 5 miles. Why choose Ness for your auto repair needs?